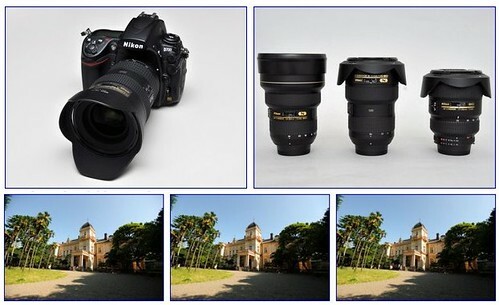 Kakaku.com tested the Nikon 16-35mm f4 VR lens vs two other Nikkor lenses, the Nikon 14-24mm f/2.8G and the Nikon 17-35mm f/2.8D. The camera used was a Nikon D700, and tests were conducted at focal lengths of 16mm / 17mm, 24mm and 35mm. Apertures tested were f/4, f/5.6 and f/8. Here’s Google’s English translation of the article. … the resolution was good except for the corners at f4 — which was to be expected. However, the barrel distortion at 16mm is a little much — and even more than my 17-35. Steve’s lens exhibits drastic color shifts at the corners and far edges. He shares some sample photos to demonstrate the issues. He notes however, that the lens is extremely sharp on a Nikon D700. In everyday shooting it is a phenomenal lens. I did a wedding yesterday and it performed beyond my expectations. Fast to focus, accurate, sharp and VR was extremely useful. 16 mm will distort. There are few that don’t. Vignetting is minimal at best and better wide open than the 17-35. And I have no color cast/shift issues. This may not be the best brick wall oriented lens, but for just about everything else it’s thoroughly competent and desirable. This lens has been picked apart like I’ve never seen before and if I were shopping for one, I would have been persuaded against it based on the many comments of a few. Bottom line is that most people will be extremely happy with this lens. Official Nikon 16-35mm f/4G VR II page at Nikon USA and Nikon Imaging. 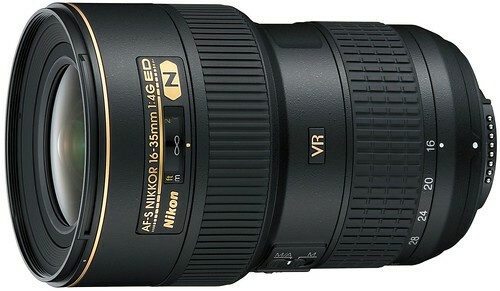 The Nikkor 16-35 VR was announced on Feb 9, 2010. Read the press release, charts and specifications at DPReview. All Nikon Lenses – Main page.